Eliza Flavell, pictured on the left with her future daughter-in-law Martha Vogel, had a long, hard but interesting life in England and Australia. She was born in the small Cambridgeshire village of Landbeach, most probably a descendant of the Flavells who had lived there from at least the mid-1500s. Click here to read more about Landbeach and what we know of the Cambridgeshire Flavells. At fourteen years of age she was placed, with her parents and siblings, into the Chesterton Union workhouse. A year later she and her family sailed half-way across the world where she would work as a domestic servant on a sheep station in the Australian outback. At sixteen she was married, to a widower and fellow Cambridgeshire immigrant, William Free. The following year she gave birth at Mount Hesse to the first of her 14 children. As described in the life and times of William Free and his family, these were born at the bush camps and settlements of Teesdale, Raglan, Mount Cole (or Buangor) and Corack. A large number of guests gathered at the residence of Mrs Free at Watchem on Wednesday for the celebration of her marriage to William Bruce, a well known resident of the Watchem and Massey districts. The Rev E. O. Knee of Donald, was the celebrant, and carried out his part of the contract to the satisfaction of all concerned. The day was beautifully fine, and the guests numerous and merry - so that all 'went merry as a marriage bell'. After the usual toasts and games, the happy couple left for home amid showers of rice and old boots, and the good wishes of relatives and friends. The death of Mrs R. Bruce, of Corack East, took place at Corack, on Wednesday, January 7, at the ripe old age of 85 years. The deceased lady was one of the oldest and best known of the district's pioneers, and had come to Corack over forty years ago from the Mt Cole district. She was greatly respected throughout the district in which she had lived, and reared a large family. The sons are Ernest and Ben (Cowangie), Sam (Lalbert), William (W.A. ), and George (Mornington) and the daughters are Mrs M. A. Donnan (Watchupga), Mrs G. Pickering (Watchem), Mrs N. McCallum (Watchem) and Mrs P. Gilchrist (Watchem). The funeral was largely attended, deceased being buried beside her first husband, the late Mr Free. Mr R E Carne had charge of the funeral arrangements. Four sons acted as coffin bearers. Eliza's parents were William Flavell (1805-63) and Maria Phillips (1816-1907). William was born at Landbeach in Cambridgeshire in 1805, the second eldest son of Thomas Flavell and Martha Webb. Maria was born at Landbeach in 1816. Her parents were Simon Phillips and Sarah Miller both from Fen Ditton on the outskirts of Cambridge. William and Maria were married at Landbeach's All Saints Anglican Church (pictured on the left) on 7 August 1836. The record of marriage shows that he was then a bachelor and she a spinster and that they were both locals. The marriage was witnessed by Charles Webb and Sarah Hewitt where all parties signed their names with a cross or 'mark'. The couple lived at Landbeach after their wedding and had eight children there: James (born in 1837), Harriet (1838-47), Eliza (1840), Phoebe (1843), Martha Rachel (1845), William (1847), John (1849-50) and John (1852). The 1851 census indicates that they and some of their children spent time in the Chesterton Union workhouse before emigrating to the colony of Victoria in Australia in 1855. They sailed from Plymouth on 9 July on the sailing ship THAMES and disembarked at Geelong on 11 October. The shipping lists show that those who came on the THAMES were William (said to be a 50 year-old agricultural labourer), his wife Maria (aged 39), daughters Eliza (14), Phoebe (12), Martha (10) and Harriet (1), and sons William (8) and John (3). They left behind their eldest son, James, and the two children, Harriet and John, who had died young and were buried at Landbeach. 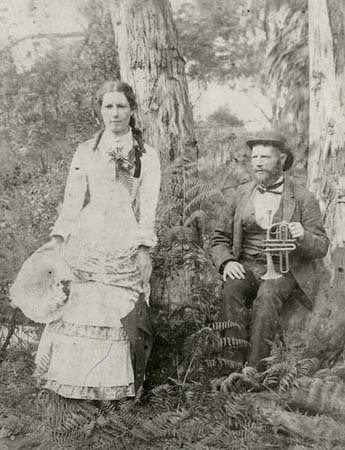 William and Maria began their colonial lives near the village of Inverleigh, located some 20 miles west of Geelong and where William and Maria's last two children were born, Benjamin James (in 1856) and George Kenneth Flavell (1858). William worked on Charles L. Swanston's sheep station, Englewood (pictured below). Their eldest daughter, Eliza, worked as a domestic servant at nearby Burnt Ridge before marrying William Free at Winchelsea on 26 May 1856. Five years later Eliza's father, William Flavell, died of typhoid fever at Inverleigh. His death certificate shows that he had been in Victoria for eight years and that he had married Maria Phillips at Landbeach when he was 30 years of age. His issue at the time of his death were said to be: James (aged 27), Harriet (deceased), Eliza (23), Phoebe (20) who was the informant, Martha (18), William (15), John (deceased), John (12), Harriet (deceased), Benjamin (7) and George (5). William's wife, Maria, remained in the district until 1879 when she went to live with one of her sons at Wickliffe near Lake Bolac in the central Western District of Victoria. In 1897 she moved to Watchem in the Wimmera district to live with her daughter Eliza Bruce (formerly Free). She died at Watchem on 20 November 1907 and was buried there the next day. Her death certificate states that she was a 'widower and old-age pensioner', that she died of influenza and heart failure and was 99 years old (she was actually 91). The informant was Maria's great grandson Francis Gilchrist who stated that: 1) Maria's parents were Simon Phillips, a husbandsman, and Maria Miller; 2) she had been born in Cambridgeshire and been in the colony of Victoria about 57 years; 3) she was married in England at the age of 21 years to a 'James' Flavell; and 4) her issue were James (70 years), Harriet (deceased), Eliza (65), Phoebe (63), Martha (deceased), Billie (61), John (59), Benjamin (57) and George (53). 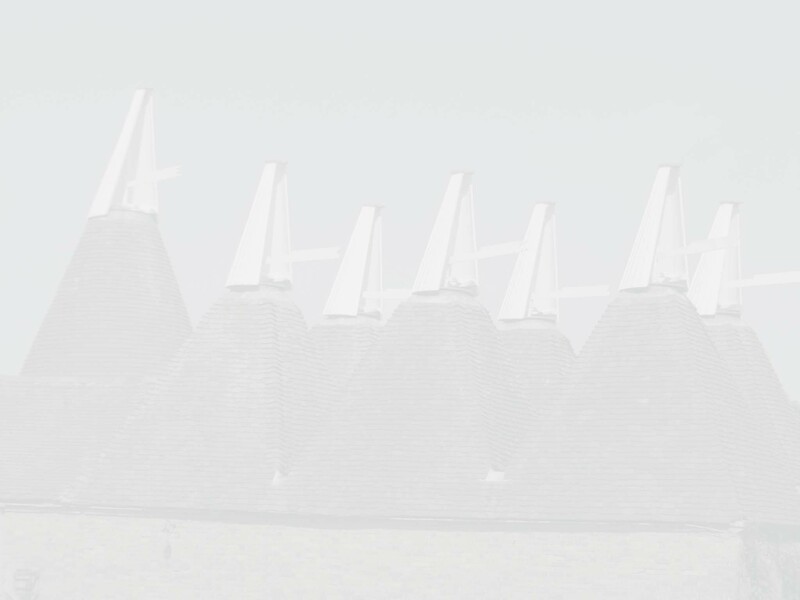 Another old colonist in the person of Mrs Flavell passed away at Watchem on Wednesday evening of last week, at the ripe age of 99 years and six months. She enjoyed remarkable health throughout her long life until the 11th of the present month when she had to take to her bed through an attack of influenza which turned to pneumonia. Dr Calhoun was called in, but from the first could not hold out any hope of her recovery. She gradually sank and passed peacefully away at about 7 o'clock on Wednesday evening. The funeral took place at Watchem on Thursday afternoon, when her remains were followed to their last resting place by a large number of old friends and relations, the Rev G. Brodie (Presbyterian) of Birchip officiating at the home and the graveside. Deceased was born at Cambridge (England) on 28 May 1808, her maiden name being Maria Phillips. At the age of 28 she was married to Mr Wm Flavell. In 1855 they emigrated to Australia in the vessel known as the 'Thames'. Her husband and she landed at Geelong where Mr Flavell engaged in pastural pursuits on Mr Swanston's station at Inverleigh. In 1861 her husband died, leaving her with seven children. She remained in Inverleigh until 1879 and then went to Wickliffe, where she lived with one of her sons until 1897. The remaining ten years of her life were spent with her daughter, Mrs [Eliza] Bruce, at Watchem. Her family consisted of 14 children, seven of whom survive her, and her descendents are: 43 grandchildren, 68 great grandchildren, and 36 great great grandchildren. What of William and Maria's children? As we have seen, Eliza Flavell married William Free and went with him from Mount Hesse to Corack. Click here to read about their life, times and family. We believe that Phoebe Flavell (1843-1916) married Alexander Bruce in 1866 but know no other details. William's death certificate indicates that Harriet Flavell (1854), died sometime before 1861. As described above, their eldest son James Flavell (1837-99) remained in England where he worked all his life as a railwayman. In 1857 he married Susan Bell (1841-1912), from St Ives in Huntingdonshire. At the time of the 1861 census James, a 23 year-old engine driver, and Susan were living on Beach Road in St Ives with their two year-old son William and James' 74 year-old widowed uncle (probably uncle-in-law) William Harrup. The 1871 census shows James, Susan, William and a nephew Samuel Bell living at Town Road in Edmonton in Middlesex. James and Susan spent the rest of their lives in Edmonton, he dying there in 1899 and she in 1912. We have not been able to trace their son William after 1881. Nor do we know whether James remained in contact with his family in the antipodes. 1) Norman Snowden Teese (1896-1962). Norman was born at Maroopna in Victoria and served in the First AIF in the 1st Motor Transport Company from 16 September 1914 until his RTA on 13 December 1918. He married Cecelia Elizabeth Shearman (1900-94) in 1922 and lived and worked, as an engineer, in Melbourne and later Bairnsdale where he died in 1962. They had at least two children: William Morse Teese (1923-72) and Leonard Snowden Teese (1924-98). 2) Raymond Goulbourne Teese (1897-1918). Born at Toolamba in Victoria, Raymond enlisted in the First AIF on 12 June 1917. He was then 20 years old, working as a grocer and was married (to a Grace Roche in 1914). He embarked from Melbourne on 4 August 1917 and disembarked at Glasgow before proceeding to France on 12 March 1918 where he joined the 5th Battalion. He was killed in action on 19 April the same year. We believe that Raymond and Grace had two boys, one of whom, George Teese (pictured with his father in the photo below) served in 2nd AIF. 3) Doris Lyndeth Teese. Born at Maroopna in 1898, Doris married Christiam Malcolm Charles Gaywood (1894-1963), the son of Charles Gaywood and Martha Vogele in 1921. They lived in the Brunswick suburb of Melbourne before moving to Lakes Entrance where Christian died in 1962. They had at least one son we are aware of, Raymond Charles Gaywood, who was born at brunswick West in 1922. Taken from the 'Snowden Family Tree' on Ancestry.com, the photo on the left is of Alice Eliza Flavell and her father William Snowden. younger brother Raymond Goulbourne Teese (nursing his son George Raymond). William and Maria's sixth child, William Flavell (1847-1913) married an Ararat girl Sarah Parish (1869-1934), the daughter of John Parish and Rachel Jeffs. They, in turn, had five children, all born at Wickliffe: John Flavell (1885); William Benjamin Flavell (1886-1928) who married Charlotte Beatrice Sloper from Ararat and had seven children there; Charles Flavell (1888); Eliza Flavell (1890-1975) who married Arthur William Bryant and had eight children (details provided in pwhitehead's 'william_marie_flavell' family tree on Ancestry.com); and Clara Flavell (1893) who had a son Sydney James Flavell. William's brother, John Flavell (1852-1932) married twice. His first wife, who he married at Stawell in Victoria in 1876, was Elizabeth Ann Rowe (1847-90) the daughter of George Rowe and Ann Eager from Stawell. They had seven children all born at Wickliffe: Angelina Flavell (1867-78); Phoebe Flavell (1876-77); Alice Jane Flavell (1877) who married Daniel Walter Dolman of Coleraine; William John Flavell (1881); Fanny Amelia Flavell (1884); Benjamin George Flavell (1886) who married Anne Louisa Webster; and Martha Ann Snowden Flavell (1889). Elizabeth Flavell nee Rowe died at Wickliffe in 1890. Eight years later John married Jessie Matilda McBain (1864-1940) from Mt Cole. They had one child we are aware of: Thomas Lexington Flavell (1899) who married Melanie Louise Rigby. William and Maria's fifth son, Benjamin James Flavell (1856-1942) married Mary Anne Bullock (1871-1952) in 1888 and had seven children we are aware of: James Ernest Flavell (1888); Catherine Flavell (1889); Walter Flavell (1891); Annette Flavell (1892); Benjamin Flavell (1894-1947) who married Una Clarissa May Miller, the daughter of Isaac Miller and Caroline Clark of Moyston in Victoria (Ben and Una's wedding photo is shown on the left); Albert Flavell (1896); and Thomas Flavell (1899). Records in the National Archives show that two of Benjamin and Mary Anne's son served in the First AIF. Albert, a labourer, enlisted on 30 July 1915. He served overseas in France in the 60th Battalion where he was promoted to Cpl on 29 March 1917 and was awarded a DCM on 1 January 1918. His record also shows that he was twice wounded in action, the first time on 12 May 1917 and, following repatriation and time at Tidworth in England where he underwent a Lewis Gun course, again on 2 September 1918. The severe nature of this second wound led him to be invalided back to Australia on the Hospital Ship Karoola on 13 December 1918. His older brother Walter also enlisted on 30 July 1915 and departed Australia as part of the 7th Reinforcements for the 21st battalion on the HMAT A18 Wiltshire on 18 November 1915. After service in the 57th Battalion, he returned to Australia on 8 April 1919. 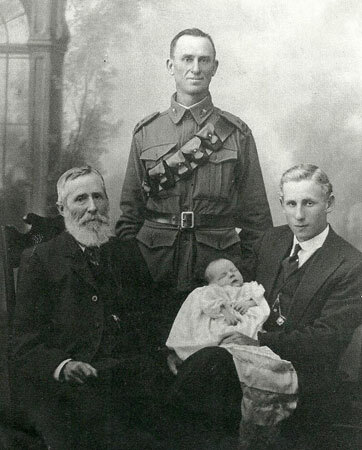 Two of the boys' cousins, George Ernest Flavell and Leonard Robert Flavell, the sons of George Kenneth Flavell and Sophia Parish of Moyston in Victoria (see below), also served in the First AIF. George enlisted on 10 September 1915. He was allocated to the 14th reinforcements for the 8th battalion and sailed from Melbourne on the HMAT A32 Themistocles on 28 January 1916. He eventually served with the 57th Battalion and was killed in action in France on 26 March 1917 when he was aged 24. He is buried in the Queant Road Cemetery at Buissy in France (Plot VIII, Row A, Grave No 32). His younger brother, Leonard, enlisted as a sapper in the 13 Engineer Reinforcements, 5 Divisional Signal Company on 14 March 1917. He embarked from Melbourne on the HMAT A29 SUEVIC on 21 June 1917 as part of the 13th General Reinforcements and returned to Australia as a LCpl on 13 July 1919. According to P. Whitehead's 'william_marie_flavell' family tree on Ancestry.com, William and Maria's youngest son, George Kenneth Flavell (1858-1938) married Sophia Parish (1864-1936), the older sister of Sarah Parish, wife of George's brother, William, at Wickliffe in 1885. They had eight children, all born at Wickliffe: Rachel Jane Flavell (1886-1957) who married Joseph Kendal Mitchell and had five children; Martha Elizabeth Flavell (1888-88); Emma Sophia Flavell (1889-89); Bertha May Flavell (1890-1956); George Ernest Flavell (1892-1917); Emily Flavell (1894) who married Frederick George Furmston and had at least three children; Leonard Robert Flavell (1895-1982) who married Ellen Elizabeth Currie at Stawell in 1923 and had at least two children; and James Parish Flavell (1900) who married Ivy Elizabeth Silvester in 1934 and had at least three children. Eliza's paternal grandparents were Thomas Flavell (1768-1841) and Martha Webb (1774-1836). Martha was the daughter of William Webb and Elizabeth Dekins nee Essex (1738-82), who were married at Landbeach in 1770. Elizabeth came from the adjoining village of Cottenham. She was born there in 1738, one of twelve children of John Essex (1703-62) and Sussanah Coe (1712-58) both of whom were born and lived all their lives at Cottenham. Elizabeth had earlier married Francis Deakons, a widower, at Cottenham in 1762. We don't as yet know for certain where Thomas was born or who were his parents. Both his wedding certificate and the 1841 census indicate that he was born in Cambridgeshire, most probably at Landbeach. But there is no mention of him or his prospective parents or siblings in the Landbeach parish registers. It is possible that he descends from the John Flavell who married 1) Mary Maile at Cottenham in 1734 and 2) Mary Everit at Cottenham in 1760 although there is no evidence in the Cottenham parish records to support this. It is also possible that he came from further afield but had lived at Landbeach long enough to be considered a local. The record of baptisms contained on the LDS IGI data base contain a number of Thomas Flavel(l)s who were baptised around the some time as our Thomas although none of these came from Cambridgeshire. We do know that Thomas was a member of a dissenting religion (probably Wesleyan). This would mean that he and his parents and siblings could have been born and continued to live in the area but not appear in the official parish records. The non-conformist records we have viewed to date (at BMDregisters.co.uk) contain no Flavells born in Cambridgeshire around the time of Thomas' date of birth (they do show most of the children of his son William). Again this does not mean that they were not at Landbeach. The protestant dissenters birth register, which was begun in 1743, covered in the first instance only London and its immediate surrounds. Although registration was subsequently opened up to anyone regardless of distance or denomination, it required a fee to be paid which may have been beyond the means of agricultural labourers such as Thomas. So while it is reasonable to assume that Thomas was born at Landbeach and that he probably connects to the earlier Landbeach Flavel(l)s, we are unlikely to know the nature of this connection or who his parents or siblings were unless some other data comes to light. Thomas Flavell married Martha Webb at Landbeach on 16 March 1795. Both the record of banns and marriage state that they were each 'of this parish'. The marriage record further notes that Thomas was a bachelor and Martha a spinster on their marriage day, and that the wedding was witnessed by a Robert Handley and a Thomas Wallis. The parish record of baptisms shows that Thomas and Martha Flavel had one daughter, Elizabeth, christened at the Anglican church in Landbeach on 29 May 1796 (Elizabeth died and was buried at Landbeach six years later). The register of non-conformist births maintained by the Dr William's Library in London shows that Thomas Flavel and Martha, the daughter of William and Elizabeth Webb, had a number of other children born in Landbeach: Thomas (1800), Elizabeth (1803), William (1805), Rebecca (11 April 1807), Elizabeth (1809) and John (1809). The CFHS Cambridgeshire Baptism Index (1801-37) shows the following children of Thomas and Martha Flavel were subsequently baptised at Landbeach in 1811: Elizabeth (aged 8), John (no age given), Rebecca (4), Thomas (11) and William (6). The Landbeach burial records shows that a Judith Flavell, aged 20 years, and a Benjamin Flavell, aged 16, were buried there in 1832 and 1834 respectively. UK census data also shows that an Alice Collins nee Flavell was born at Landbeach in around 1817. Their birth dates and names suggest that these three may have also been the children of Thomas and Martha although this has still to be confirmed. They may have been the children of one of Thomas' siblings or another Flavell who was not married in Landbeach although there are no other obvious contenders beyond, possibly, the Thomas Flavell noted in the 1831 poll book who was said to be living as a freeman at Landbeach and owned land at Waterbeach which was then 'occupied by Coulson and another' (it is conceivable of course that this was our Thomas, before he fell on hard times, or, even, his father). Thomas Flavell died in Landbeach on 9 Oct 1841, aged 73 years. His death certificate states that he was a labourer and that the informant, who was present at the death, was John Norris of Landbeach (John signed the certificate with a cross). The cause of his death was said to be 'infirmity'. Thomas' wife Martha Flavell nee Webb had predeceased him by five years and was buried at Landbeach on 3 October 1836. Thomas and Ann Hudson were married at Cambridge in 1825. They lived at Cambridge after their marriage and had at least six children there: Frances Ann (1828), James (1831-bef1871), Elizabeth (1834), Mary Ann (1837), Ann (1840) and Sarah Flavell (1839-41). We think that Frances had one child, Eliza Ann Flavell, before she married John Parsons Barnes at Cambridge in 1848. They lived initially at Cambridge and later at Bromley in Middlesex and had at least four children: Eliza, Henry, Sarah Ann and Jane Barnes. Her brother James Flavell worked as a labourer on the Eastern Counties Railway and married a local Cambridge girl, Elizabeth Radford (1863-1905), the daughter of Thomas Radford and Jane Miles, at Cambridge in 1852. James and Elizabeth lived all their lives at Cambridge and had three children there: Frederick James Flavell (1857-1905) who worked as a blacksmith, Arthur George Flavell (1859) a labourer, and James (1861) and iron moulder. We know little about Thomas and Ann's other children other than Elizabeth may have married James William Utterage in Cambridge in 1853, and her sister Ann may have been working as a housemaid in Clapham in Surrey in 1871. Elizabeth married Thomas Wolfe, probably from Girton in Cambridgeshire at Landbeach in 1822. The record of marriage showed that she was a spinster and the wedding was witnessed by Thomas Flavell and Francis Wolf. The couple lived at Girton after their wedding and had six children we know of there: Frances (1826), Elizabeth (1827), John (1831), Jacob (1832), William (1836) and Sarah Wolfe (1838). The 'strike family tree' on Ancestry.com (8 April 2009) indicates that Elizabeth and Thomas' daughter, Elizabeth, married John Watson at Girton in 1849 and had at least 9 children there: James (1848), Elizabeth (1851), Thomas (1853), Martha (1855), Philip (1858), John (1860), Jane (1862), George (1865) and William Watson (1868). Thomas Wolfe died sometime before 1851, probably at Girton. His wife Elizabeth brought up their children and remained a widow until her death in Girton in 1892. The Dr Williams Library records for Landbeach shows Rebecca was born there on 11 April 1807. She was a spinster when she married David Pegg by banns at Landbeach in 1826. Both celebrants were said to be 'off this Parish'. The marriage was witnessed by William and Thomas Flavell. The 'Stephens Family Tree' on Ancestry.com.au (19 May 2009) states that Rebecca and David had two children, both born at Histon in Cambridgeshire: Emma (1826-1892) and Charles Dennis ('abt 1831'). It adds that Rebecca died at Histon in 1831, I assume during childbirth. The UK censuses indicates that David remarried after Rebecca's death. CFHS transcripts for the parish of Cotton (located to the west of Cambridge) shows that John Flavell a bachelor of Landbeach married Elizabeth Wakefield, a spinster, at Cotton on 10 August 1829. The wedding was witnessed by William Wakefield and Sarah Fitch and both John and Elizabeth signed the register with a cross. The 'Childs Family Tree' on Ancestry.com has Elizabeth's parents as William Wakefield (1780-1856) and Mary Brooks (1775-1845) both of Cottenham. It also indicates that Elizabeth had seven siblings: Sarah, Mary, Ephraim, Susana, Joseph, Ann and Ann Wakefield. The CHFS transcripts show that John and Elizabeth's first child, Martha Flavel, was baptised at Cotton on 29 May 1831. The family then moved to Landbeach where Martha died on 24 June 1832. The couple had a further seven children at Landbeach: Judith (1833), Benjamin (1836), Martha (1838-1908), John (1840), Joseph (1843-1917), Emily (1845-92) and Ishmael (1846-1909). The Catherine House records show that Judith married John Brooks in the Chesterton district of Cambridgeshire in the October quarter of 1856. Census and other data indicates that John, a farm worker, came from the Isle of Ely in Cambridgeshire. The couple lived at Landbeach after their wedding and had at least two children there: Ann (1857) and Emma Rebecca Brooks (1861). Ann married Walter Wright, a carpenter from Great Sampford in Essex, at Landbeach in 1874 and had eleven children, all born in London: Walter, Ernest, Alfred William, Florence, Ethel Rose, Agnes Maud, Edward Charles, Percy George, Albert Edgar, Ada and Lillian May Wright. The censuses indicate that the family were living at Chelsea in 1881, Fulham in 1891 and Acton in London in 1901. The 'Pritchard Family Tree' on Ancestry.com.au (24 May 2009) states that Martha married Charles Leach, a caprolite miner and agricultural labourer, at Landbeach in 1857. It also indicates that she and Charles had nine children: Louisa, John, William, Charles, Emma, Ann Elizabeth, John Flavell, Herbert Joseph and Grace Leach. The UK censuses show that Martha and Charles and their family lived mainly at Landbeach. The Catherine House records show that Joseph married Emma Leach in the Chesterton district of Cambridgeshire in the October quarter of 1863. The censuses show that Emma was born at Waterbeach in 1844, that Joseph graduated over the decades from cowman to farm foreman, and that the family moved between the neighbouring villages of Landbeach, Fen Ditton, Waterbeach and Histon. They had ten children we are aware of, born at one or another of these places: Ann (1864), Janetta (1867), John William (1869), Jane Elizabeth (1872), Julia Ann (1874), Frederick (1877), Herbert (1879), Benjamin (1882), George (1886) and Rose (1891). All of their children survived childhood and eventually married. Of those we know, Janetta married George Branch, an agricultural labourer, in 1889. 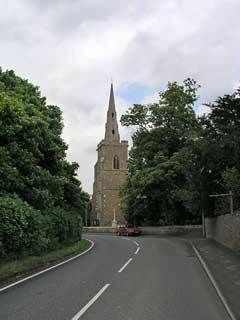 They lived at Waterbeach in 1891 and Little Shelford in 1901 and had at least five children. Her sister, Jane Elizabeth, married Robert Samuel Brown from Bury St Edmunds in Suffolk in 1899, and had had one child by the time of the 1901 census, Emily Flavel Brown. Julia Ann married Alfred Warren from Cottenham in 1894 and had one child by 1901, Herbert Warren. According to the 'Wells Tree 08' (23 May 2009) on Ancestry.com, Benjamin married Lilly Pauley from Impington in Cambridgeshire in 1903 and had four children: George Henry, Ethel Lilian, Harold Frederick and Hilda Caroline Flavell who married William Pritchard of Bramley in Yorkshire in 1935. Benjamin and Lilly both died at Edmonton in Middlesex in 1946 and 1950 respectively. The Catherine House records show that Joseph Flavell, born in around 1841, died in the Chesterton district of Cambridgeshire in 1917 and that his wife, Emma, died there the following year. The 'Pritchard Family Tree' on Ancestry.com.au (24 May 2009) tells us that Emily married Cropley Moore probably in Landbeach in 1867 and that they had five children all born at Landbeach: William Henry, Alfred John, Herbert Benjamin, Florence Alice and Mary Jane Moore. Census data and the 'Priestly Family Tree' on Ancestry.com.au (24 May 2009) indicate that Ishmael married Harriet Barker from Waterbeach in 1867 and that they had eight children: John (1870), Harriet (1872), Lily (1875), Charles (1877-86), Letha Mary (1879), Frederick (1880), Ellen (1882) and Herbert Barker Flavell (1882). The Catherine House records and the 'Priestly Family tree' on Ancestry.com (24 May 2009) show that Herbert married Lucy Wakefield in 1911 and had one daughter, Cicily Iris Flavell (1924-94) who married Charles Edward Priestley (1911-86) at Kempston in Bedfordshire and had three children. We also know from the Catherine House and UK census records that most of Herbert's siblings were also married. The three we have confirmed to date are: Harriet to Thomas Cornell in 1894, Letha to John Taylor in 1900, and John to Florence Muncey in 1893. The Landbeach parish record of marriages show that an Alice Flavell and Thomas Collins were wed at Landbeach on 5 March 1834. The 1851 census indicates Alice was born at Landbeach in around 1817. Her husband, Thomas, was born at Chesterton in 1816. The 1841 and 1851 censuses show that they had at least three children, all born at Landbeach: George (1837), Phoebe Ann (1839) and James Collins (1844). I could only find James in the 1861 census, lodging with a Sarah Sanderson, 80 year-old pauper, at Landbeach. As in the case of Judith Flavell (1812-32) and Benjamin Flavell (1818-34), we are not sure if Alice was Thomas and Martha's daughter. While born at Landbeach around the time of their other children, there is no record of her baptism there (not unusual of course if she was the daughter of a non-conformist). It is interesting to note that Martha's older sister was named Alice. 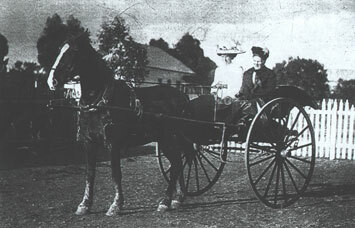 Eliza Flavell and Martha Vogel in buggy, c 1900 courtesy of Cheryl Kerr. At Englewood station, from The Historic Township of Inverleigh. 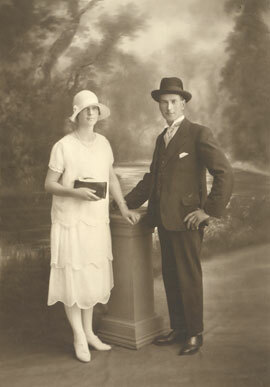 Marriage photo of Ben Flavell, and Una Clarissa May Miller, from the 'Sertori Family Tree' on Ancestry.com . 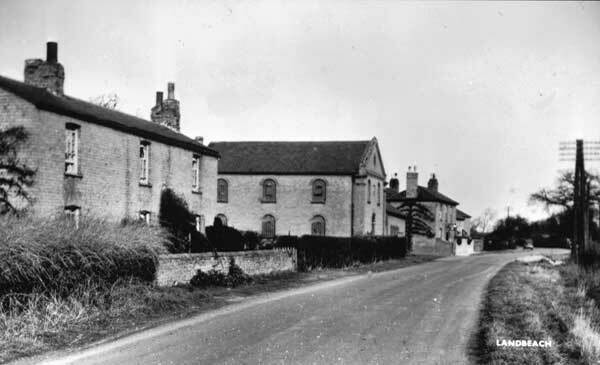 High Street Landbeach and Baptist Chapel, courtesy of Snapshots of the Beaches: A people's history of Landbeach and Waterbeach.